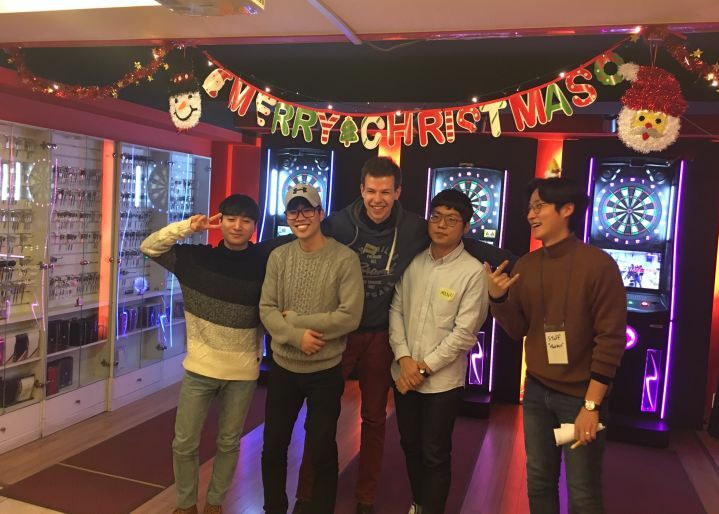 HOMESHAREHOUSE IN KOREANEWS & BLOGEVENT"MIRI-MERRY" CHRISTMAS PARTY with Borderless House Seoul! Greeting from Borderless House Seoul! We hope everyone had wonderful Christmas with family and friends. We, Borderless House would like to share the moment of our December event. 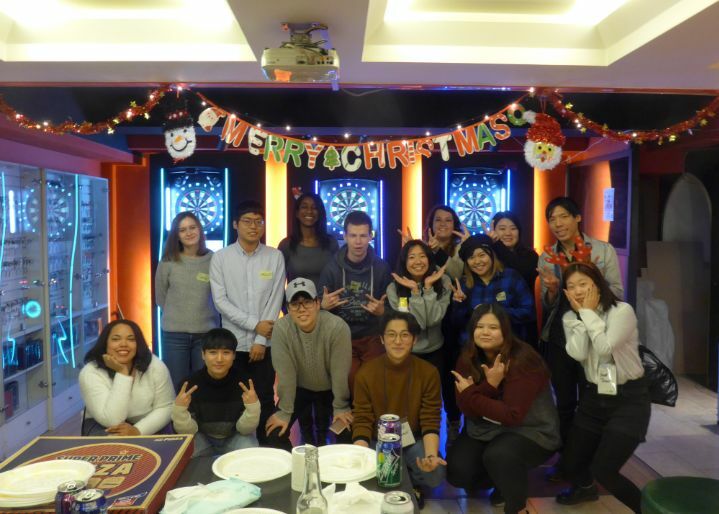 "Celebrate Christmas little earlier" in Korean. 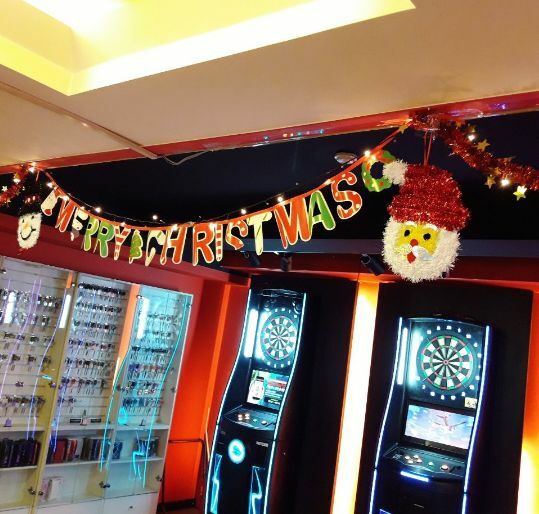 It was held in a darts bar located near Sangsu station line 6. 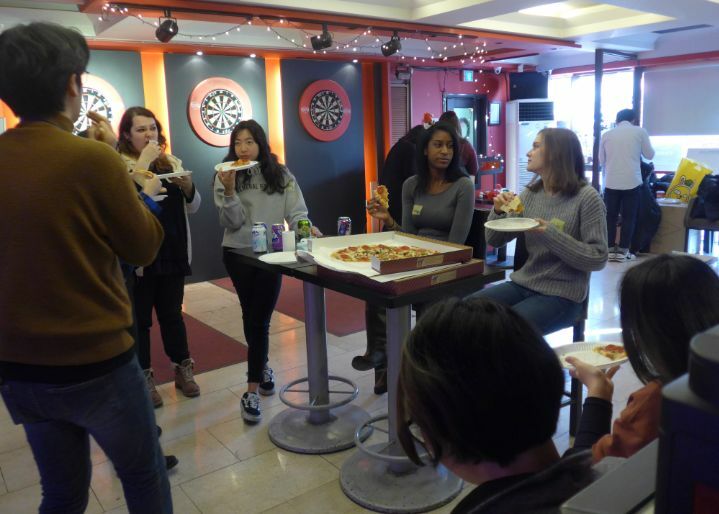 We never held event in a darts bar, so it was really offbeat. Snacks are imperatively necessary for having party! 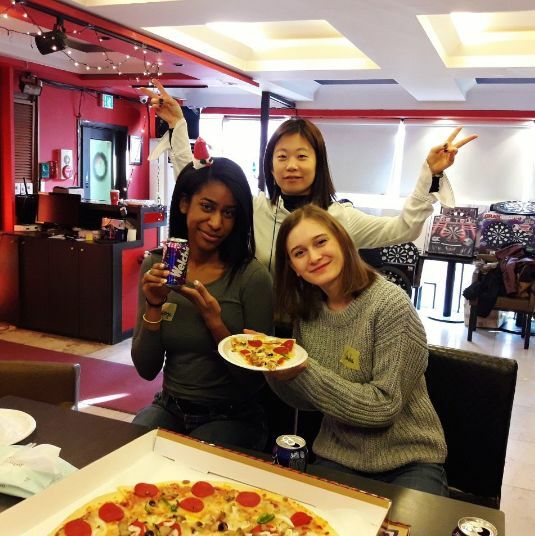 In this party, we provided pizzas and drinks for all our tenants. As we already wrote in previous sentence, this event was held in a darts bar. So we play darts with all our tenants and they competed for the prize! Here are the winners! Congratulation!! It was really nice to meet all our tenants in our December event.